– The F1 key opens up the web based ‘Sage Accounts Help’ function. – The F2 key brings up a calculator function. – On sales invoices, sales orders and purchase orders the F3 key opens the ‘Edit Item Line’ window which displays the information relating to the particular line you have selected on the invoice or order. – On customer and supplier receipts the F3 key pays the receipt in full so you are able to F3 down the list of invoices to be allocated rather than using your mouse to click ‘Pay In Full’. – The F4 key opens the ‘Quick Reference’ option in any box with a drop down list available e.g. when you are processing a batch purchase invoice and your cursor is in the A/C box if you press F4 a list of suppliers will open. – If your cursor is in a monetary box when you press the F5 key a currency calculator will open and if your cursor is in a text box a spell checker will open. – The F7 key inserts a blank line in the row above. – The F8 key deletes the whole line of information. – The F9 key activates the ‘Calculate Net Amount’ function which can be used to split the total you enter into the net box into the net and VAT amounts e.g. if you are raising a batch sales invoice and have agreed a gross value to be invoiced you can type it into the net box, press F9 and it will put the correct split into the net and VAT boxes. – The F10 key is not currently an operational shortcut. 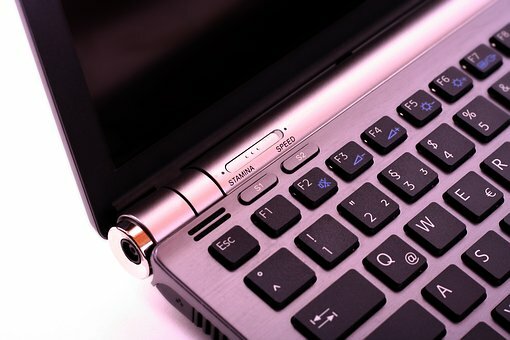 – The F11 key opens the ‘Windows Control Panel’ function. – The F12 key opens the ‘Sage Report Designer’ function. If you press Alt and X and then E, Sage 50 will export the data from most activity screens into Excel. Sage 50 will now display a message each time you try and post into a period which has been locked. – Click the box to the right hand side of each module name and pick a line colour – you can customise each module with a different colour or use the same colour for all – just be warned some of the standard choices are really bright! You can save your most frequently used reports and layouts as favourites so that they are quicker to find when you need to use them – if you click on the star on the left hand side of the report or layout once it turns yellow it will appear in your favourites each time you open reports in that module. I hope you have found this post useful – we have helped a number of businesses transition onto Sage 50, feel free to get in touch by phone on 01782 940380 or email at info@miasolutions.co.uk if you would like any further information.